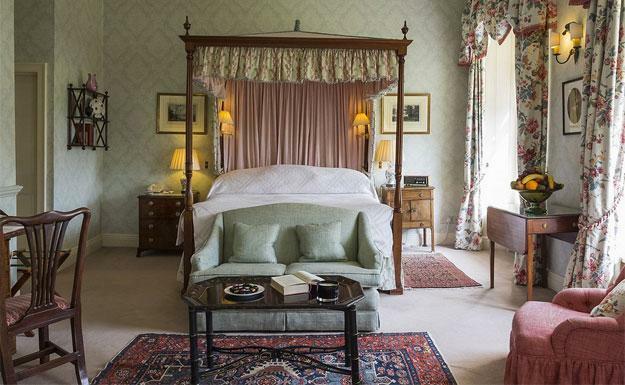 Our experts offer a guide to 10 of the best places and cities to visit in England for family holidays and couples, and the best hotels to stay when there, in locations including Yorkshire, Cornwall, Lake District, Bath, Cotswolds, London, Devon, Norfolk, Suffolk and Brighton. Visitors flock to Yorkshire because there is no place on earth like God’s Own County. It considers its food and drink reputation as now the best in Britain. Yorkshire boasts more Michelin-starred restaurants than anywhere else in the country (apart from the clogged streets of London and who wants to go there?). The sheer beauty of the county, sometimes as unexpected as a dilapidated mill chimney stabbing up through a leaden sky, has inspired generations of painters: from John Atkinson Grimshaw’s moonscapes to the Victorian artists of the Staithes Group to David Hockney’s Yorkshire Wolds. The only downside for visitors is the secret is out. 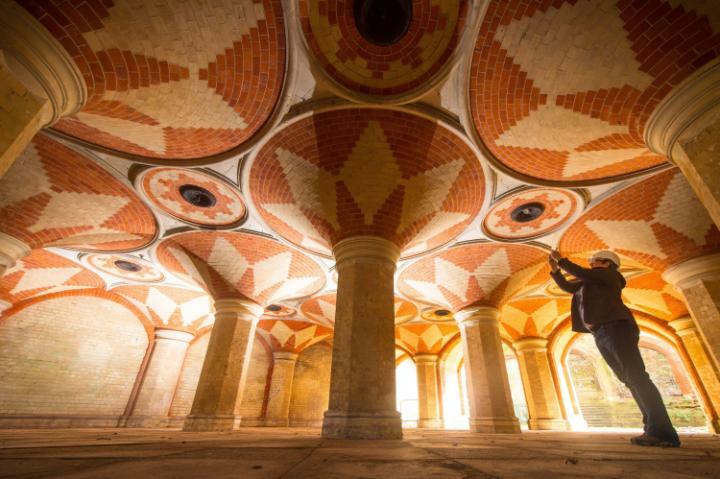 Some 40 million visitors now travel here every year for heritage-related tourism alone. Good job its grand old cities and sweeping moors and Dales are large enough to soak them all up. Swinton Park stands in 200 acres of lake filled grounds. 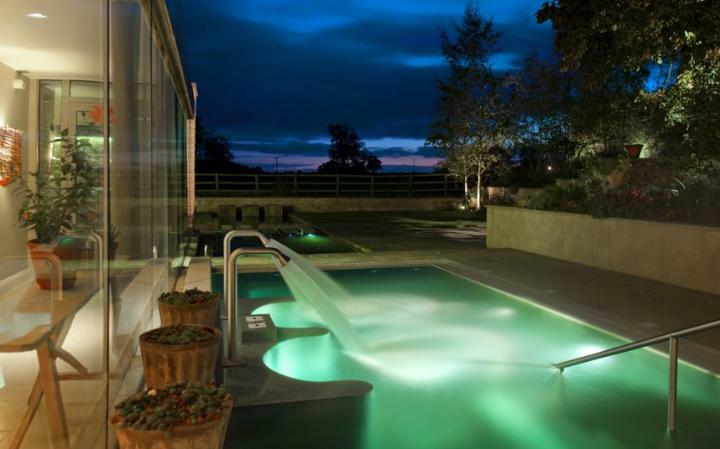 Beyond that lies its 20,000-acre estate, embracing farmland and moorland. There is also a charming nine-hole golf course. First built in the late 17th century, Swinton Park has been much altered over the years; especially when wealthy mill owner Samuel Cunliffe-Lister bought the estate in 1888, much enlarging it and creating its present Victorian feel. Swinton Park is very family-friendly offering a charming trail and quiz through the grounds for kids, plus a Games Room, and Bird of Prey Centre. Middlethorpe Hall & Spa is set in 20-acres of beautiful grounds, where early risers might glimpse roe deer in the mist-shrouded gardens. The style is smart but not pretentious; sophisticated but not showy. Yes, there are creaky floors and wonky door frames – and the spa is tiny, but it is a 300 year-old country house. Dinner is served by candlelight in the wood-panelled dining room, which dates from 1699, and dishes include locally sourced produce and vegetables straight from the garden outside. The glorious, honey-coloured towns and villages of the Cotswolds look as if they have strayed into the 21st century from another era. The area is characterised by gentle dynamism, with lively galleries, vibrant festivals and a liberal endowment of intriguing museums. 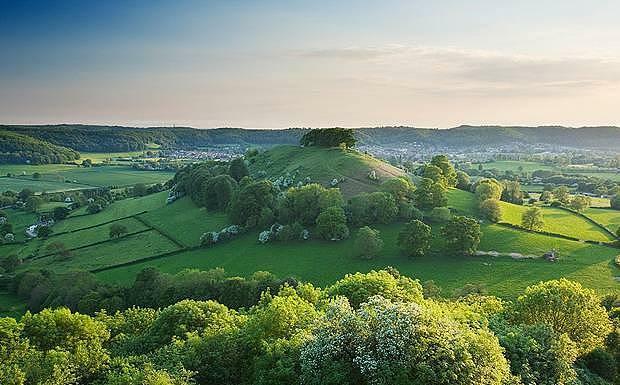 Covering nearly 800 square miles across five counties (Wiltshire, Gloucestershire, Oxfordshire, Warwickshire and Worcestershire), this region of “wolds”, or rolling hills, is the biggest of the 38 Areas of Outstanding Natural Beauty (AONB) in England and Wales. Every season has intrinsic appeal. Crowd-free winters are ideal for bracing walks, fire-side pub sessions – and lower hotel prices.Come in spring to see lambs and wild daffodils. Visit in summer (inevitably with many others) for magical light, particularly in the long evenings. Or make an autumn excursion for a quieter atmosphere and wonderful leaf colour, especially at the two great arboreta, Westonbirt and Batsford. The glorious, honey-coloured towns and villages of the Cotswolds look as if they have strayed into the 21st century from another era. Located on over a mile of the River Windrush, the 18th century mill consists of a sympathetic restoration of original Cotswold buildings. With hens and rabbits in the gardens and 65 acres of grounds to run around in, there’s much appeal for children. There’s much to appeal to parents, too: day and evening child-minding services; a children’s menu; table tennis and table football; and lots of activities for families to enjoy together from fishing to horse riding. This gracious, 17th-century manor house is tucked into the heart of handsome Barnsley village – which lies in particularly lovely, rolling landscape. With its golden stone, gables and mullion windows this is a dreamily romantic house. But for all that, the building is magnificently upstaged by its garden. There are four acres of formal gardens including a knot garden and a potager. In the rooms, creamy furnishings enhance engaging artworks, all based on the theme of nature – a row of bird houses; a chandelier cleverly created out of flower pots. Craggy coves and cream teas, surf breaks and strolls, picnics and pints in pub gardens – holidays in Devon are wholesome, simple and scenic. 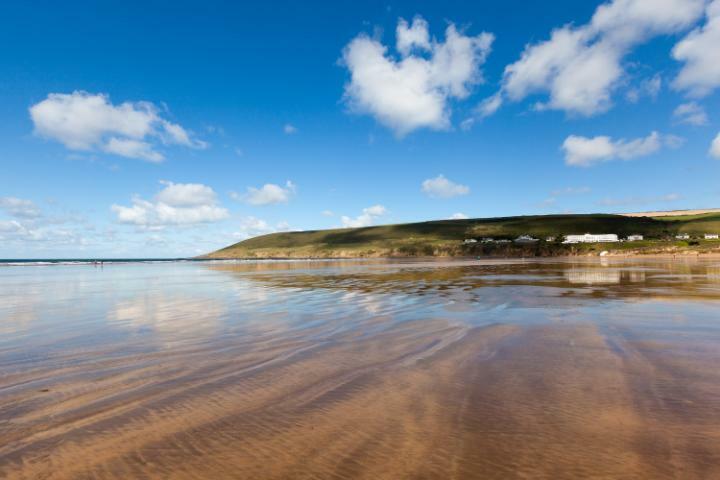 Most people are drawn to the magnificent beaches on the south and north coasts, but inland Devon has its appeal, too. A visit here mixes two of life’s loveliest pleasures: good food and the great outdoors. Devon folk make the most of the rich larder of food on their doorstep. Lamb, venison, pheasant, pork and seafood are staples, and the county’s farmers’ markets are full of artisan producers selling delicious cider, apple juice, cheese and ice cream. A castle only by name, this 1906 baronial granite pile has huge stone fireplaces, soaring ceilings, ornate panelling, feather-filled sofas, sweeping moorland views and a spa. 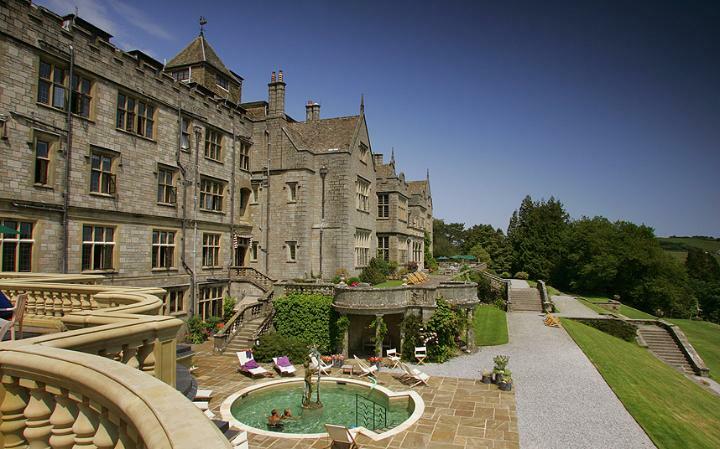 For children, there’s tennis, croquet and a playground in the extensive grounds, with a huge programme of outdoor children’s activities organised as part of Bovey Rangers club. These include survival skills, archery, reptile and owl encounters, rock climbing, raft building, canoeing and golf lessons. The indoor playroom, costing £20 per session, has painting, pottery, biscuit decorating, mask, puppet and badge making. Babysitting services can be arranged in advance. The location is delightful, a chocolate-box fishing harbour on a private estate. Inside, it’s a traditional Devonshire pub with a homely, hearthside feel. You can hear the lapping of the waves from each of the nine daintily countrified rooms. The view in room five through dual-aspect windows is one of the best in the UK: one side is of the ever-changing sea; the other is of pretty Clovelly harbour and north Devon’s majestic coastline unravelling into the distance. 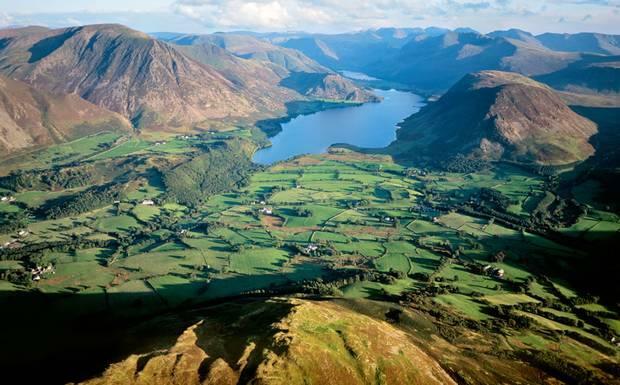 Visit the Lake District for Britain’s finest scenery, greenest countryside and grandest views. Its picturesque patchwork of lakes, valleys, woodlands and fells make it one of the best places in Britain to get out and experience the great outdoors, whether it’s on a leisurely bike ride down country lanes or a day-long hike across the hills. The Lake District also has numerous artistic and literary connections, most famously William Wordsworth, who was born in Cockermouth in 1770 and drew much of his poetic inspiration from the surrounding landscape. And while the weather is notoriously unpredictable (locals will tell you that it’s not unusual to experience all four seasons in a single day), showers and racing clouds only emphasise the grandeur of the magnificent scenery. 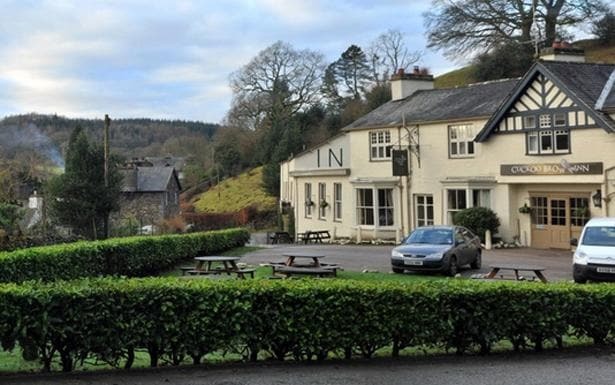 With its distinctive gabled entrance and handsome bay windows, the inn has served as a way-marker for travellers since around 1700, and it’s still a local landmark. 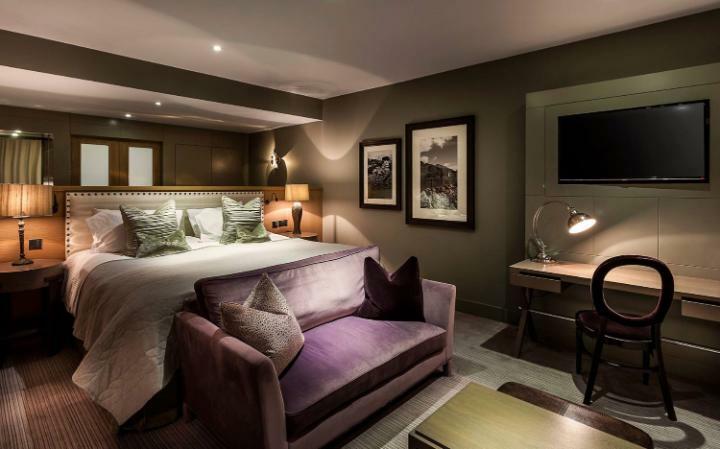 Most rooms are in an annexe attached to the main pub, and have been renovated during the pub’s modernisation. The main advantage here is the family-friendliness: there are several twins and rooms with bunk-beds for the kids, and you’re even allowed to bring in the (well-behaved) dog if you want to. The hotel’s tagline ‘muddy boots, wet dogs and children welcome’, tells you all you need to know. Langdale is one of the Lake District’s most picturesque valleys: small, but dramatic, quiet yet with plenty of life. Standing boldly among the conifers and pines, Brimstone is intentionally reminiscent of a large ski chalet, constructed using beautiful blue-grey Lakeland stone. From the glowing, glass-fronted stove (lit to be toasty just as you arrive and replete with log stack) to the double shower, enormous spa bath and bi-fold doors opening out to Lakeland views – it’s impossible to find fault with bedrooms as well designed and delightfully indulgent as these. 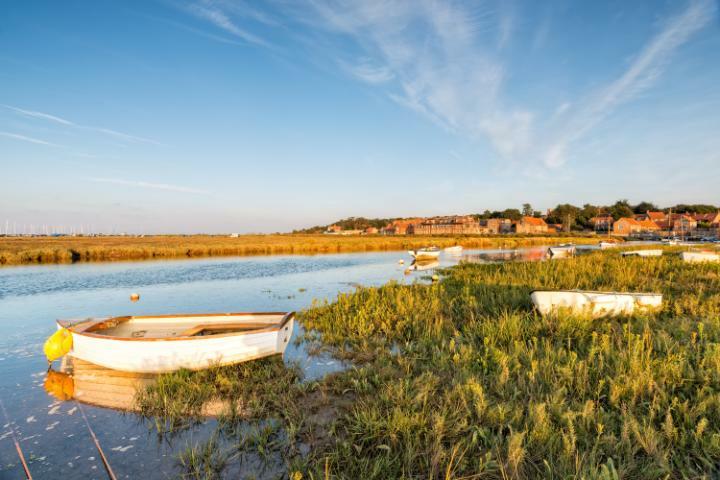 Norfolk’s undulating countryside and sleepy, flint-built villages are perfect for gentle cycling, walking or touring by car. Stately homes, ruined castles, medieval churches and half-timbered wool-towns with fascinating museums make enjoyable days out. Although East Anglia gets less rain than many other holiday destinations in the UK, northerly and easterly winds over the North Sea can keep temperatures low. But even on cold, bright days in winter, the beach car parks can be busy with dog-walkers and hikers. There’s also a good variety of shopping in lively Georgian towns such as Burnham Market and Holt in North Norfolk. On Blakeney Harbour, its upper windows offering a grandstand view over Blakeney Marshes: three quarters sky, one quarter bleak, compelling marshland threaded with channels of gleaming water. This is the sort of hotel that attracts generations of families as well as couples returning time and time again. It has a solid, dependable air, although it’s new look may well begin to attract a younger clientele as it takes hold. All but a handful of the rooms have been redecorated, and they are as calm and peaceful and softly coloured as the marshes opposite. The beaches fringing the curved Norfolk and Suffolk coastline are the chief draw for visitors to the region. Even on the busiest summer’s day, there is always space for games, kite-flying or a quiet family picnic in the dunes. It’s also a wild landscape of dense pine forest, open heathland and great expanses of salt marsh. Bird life is astonishingly rich and coastal wild flowers include yellow-horned poppies and purple-flowering sea pea, while the unique wetlands of the Broads, one of England’s 10 designated National Parks, is home to more than 400 rare species, including butterflies, dragonflies, moths and snails. Wherever you are, you’re never far from a cosy, pamment-floored pub serving local ales or an excellent delicatessen selling the region’s specialities – pungent cheeses, smoked fish or honey. On Southwold’s busy high street, overlooking shops, and a short walk from the seafront. The hotel is ighly welcoming in a rather old-fashioned way. The green-walled lounge next to the entrance and reception area is a comfortable mishmash of sofas and chairs grouped around coffee tables, and the large dining room, at the back, is in a lovely room. 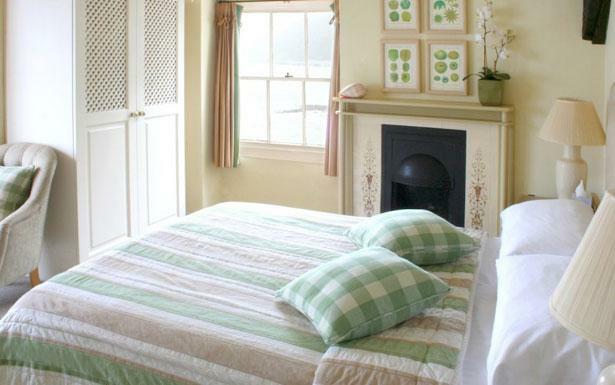 The 42 rooms are spread between the main house and the garden and spacious, Lighthouse Rooms are geared to families. High tea is served from 5.30pm. There can be few more cosmopolitan cities on earth. People pour in from across the world to visit, work or live. Londoners are used to hoardings marking the progress of colossal infrastructure projects such as Crossrail and the revitalisation of King’s Cross-St Pancras, and new skyscrapers, even entire new areas, such as the Embassy Quarter and Battersea Power Station south of the river, are transforming the skyline. Restaurants, bars and theatres are buzzing and the range of events on offer – from sport to food pop-ups, from music festivals to theatre – is unbeatable. Right here, right now, London is somewhere you just have to be. Brown’s grand interconnecting suites are ideal for families looking for luxury. Expect sheets embroidered with princesses or pirates, and a play tent, toys and biscuits bearing the name of your child waiting in the room on arrival. All Rocco Forte hotels feature high-quality picture books, specially commissioned for each property, based on fictional characters who live in the hotel – Brown’s has Albemarle, the monkey (a shout-out to Rudyard Kipling, who wrote The Jungle Book in the hotel). It is difficult to think of a chain that is commissioning more charming bespoke entertainment for children. Cornwall is defined by its magnificent coastline with 300 miles of dunes and cliffs, medieval harbours and oak-forested creeks – and every mile accessible on foot. Such an unspoilt coastline inspires Enid Blyton-style adventures: take a picnic and the dog through fields fringed in wildflowers to a remote beach; clamber down stepping-stone cliffs to rock pools that are works of marine art; swim with seals and harmless basking sharks. Surfing is big draw, for all ages – bodyboarding too – and lessons are available on most north-coast beaches. Cornwall is also known for its artistic heritage. Painters, sculptors and potters of international renown come for the big skies, the rugged beauty of the boulder-strewn moorland, and the intense light that turns the sea cerulean blue even in mid-winter. The only hotel on Watergate Bay, a two-mile stretch of beach near Newquay, with fabulous views in both directions. This is an entirely family-oriented hotel, with an appropriately laid-back and unfussy attitude. There are organised games, craft and activities, as well as evening entertainment in the ‘Kid’s Zone’ and ‘XA Club’, plus and indoor/oudoor pool and two miles of sandy beach outside the door, surf and many other watersport lessons at the Extreme Academy (part of the hotel) and rock pools and caves along Watergate Bay to explore. With sweeping, honey-stone Georgian crescents and terraces spread over a green and hilly bowl, Bath is a strong contender for England’s most beautiful small city. It has a fascinating and easily accessible history, from the Roman Baths to the life and times of one-time resident Jane Austen. Interesting, digestible galleries and museums – including the recently revamped Holburne and One Royal Crescent – are many and varied, while shopping is also a major draw. Bath’s Achilles heel used to be used to be a surprising dearth of good, affordable places to eat. But that is no longer the case. The foodie transformation of a number of the city’s pubs over the past decade has been the most significant improvement. 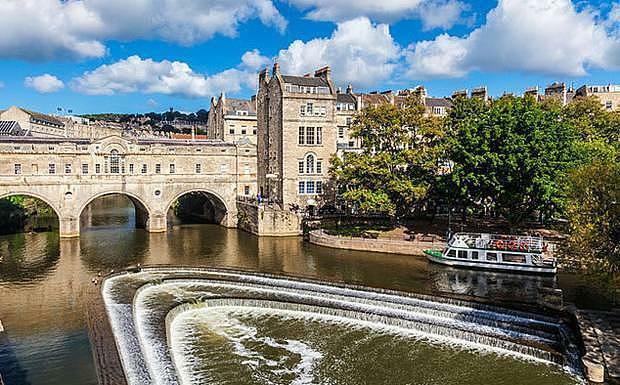 Bath is a strong contender for England’s most beautiful small city. The studios and apartments are hidden away in a Georgian terrace in the city centre. The studios and apartments, some of which have their own pedimented blue front door directly on to the street, are decorated in bland but inoffensive Ikea-style furnishings. There are 10 studios, in which the living room, kitchen and bedroom are one single space, plus 28 one-bedroom and five two-bedroom apartments, where the living room/kitchen area is separate from the bedroom(s). SACO can provide cots and high chairs, and the apartments are ideal for families. However, there are no sofa beds; you will need a fold-down bed or a two-bedroom apartment. Visit Brighton because you need never get bored in this loveably eccentric city. There’s always something unexpected to enjoy – the secret is to roam freely and keep your eyes peeled. Head to the boho North Laine, and you find offbeat designers and dingy flea markets happily melding with sleek restaurants and bars. Throw in gentrified Regency squares, oddball museums, and a clutch of well upholstered parks with traditional cafés attached – and you have a city that truly caters for all tastes. Brighton is a fiercely all-season city. Of course it can be packed on a hot summer’s day – but come September, the crowds thin and the locals take back their town.